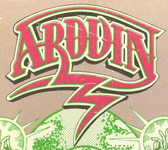 Arduin is a fictional universe and fantasy role-playing system created in the mid 1970s by David A. Hargrave. It was perhaps the first "cross-genre" fantasy RPG, with everything from interstellar wars to horror and historical drama, although it was based primarily in the medieval fantasy genre. Arduin was one of the earliest challengers to TSR's Dungeons & Dragons. It began as a personal project Hargrave created to share with friends, but became so popular that he was inspired to publish the material. The original Arduin suite of supplements, dungeon modules, and gaming aids were initially self-published, but were then later produced by Grimoire Games. Dragon Tree Press produced four further Arduin supplements before the Arduin rights and properties were purchased by Emperor's Choice Games and Miniatures. Although the Arduin books did not explicitly claim to be a Dungeons & Dragons supplement, they were treated as such by most users. The first three Arduin tomes are known as The Arduin Trilogy. They are, in order, The Arduin Grimoire, Welcome to Skull Tower, and The Runes Of Doom. The Arduin Trilogy contained unique new spells and character classes, new monsters, new treasures, maps, storylines, extensive demonography, and all sorts of charts and lists which detailed the Arduin "multiverse"."" Source: Wikipedia, "Arduin", available under the CC-BY-SA License. The various accessories and books from Compleat Arduin onwards are "inspired by" the work of Hargrave.